The gallery is delighted to present a two-person exhibition of Brooklyn-based artists Florencia Escudero and Marcela Flórido. Paintings and drawings by Flórido are paired with soft sculptures by Escudero. The exhibition developed from the friendship and critical dialogue that Escudero and Flórido have kept since meeting each other at the Yale University School of Art graduate program, which they both attended. Their works relate themes of constructed realities, female representation, and memory. 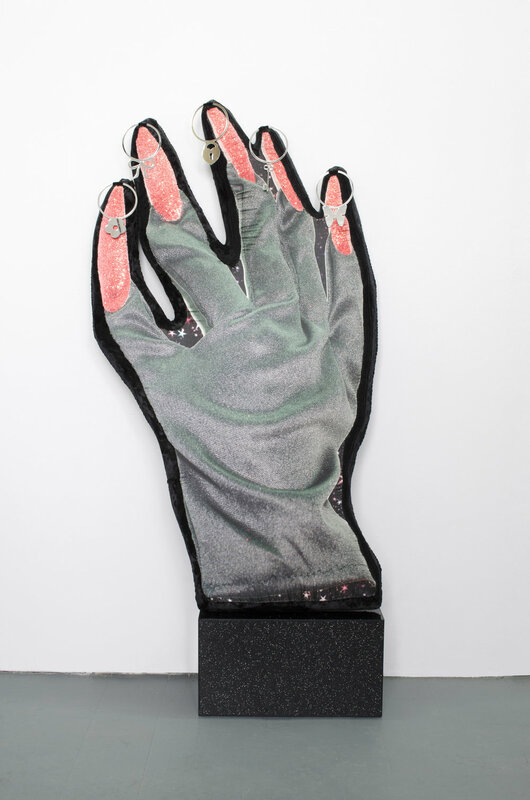 Escudero explores the notion of a fictive world through hand-sewn, digitally printed sculptures that parse elements of the female body, sometimes through proxies. Stand-ins include fashion accessories and doll parts. Escudero gathers imagery from digital space that relates to versions of fantasy and desire often circulated in mass media. Within her broader practice, Escudero positions the sculptures inside the rooms of 'love hotels' (which have fantastical and kitschy interiors designed to enhance the experience of lovers) and photographs them. This process helps her to think about how love can be redefined beyond the version of it that consumer culture presents. Flórido's paintings of plants native to Brazil, and her drawings of the female portrait, convey charged energies and temporal states. The motif of the heart, traditionally a symbol of love and intimacy, accompanies the portraits of Flórido's women, creating an overall mood within each of her works. At times this symbol appears as the leaf of a plant, which in turn exhibits human-like qualities. Within her canvases, Flórido finds freedom to imagine the different ways that the body can inhabit physical space. This action mirrors an aspect of her own personal experience of adapting to various places where she has lived during her life and of rendering elements of her home country's landscape from memory. The title of the exhibition, Costilla de Adán (Monstera Deliciosa) refers to the tropical plant depicted in Flórido's recent painting. It also points to the notion of Adam's rib, and the concept of woman as an assemblage of parts. For the artists, using parts of the female form within their own works gives them as sense of freedom and agency to develop their own narratives. As the artists write, "In the exhibition, these parts function as stand-ins for whole real women in the same way that memory creates a sense of reality which is distorted and fractured." Florencia Escudero was born in Singapore in 1987 and grew up in Mendoza, Argentina. She lives and works in Brooklyn, New York. Escudero received an MFA in Sculpture from the Yale University School of Art in 2012 and a BFA in Fine Arts from the School of Visual Arts in 2010. Her works have been exhibited at Instituto Cervantes, New York, NY, The Steuben Gallery, Pratt Institute, New York, NY, Selena Gallery, Brooklyn, NY, and Etta Project Space, Seoul, Korea, among other venues. She was a 2016 year-long Artist in Residence at the Loisaida Center, New York, NY, and has also completed residencies at Art Farm, Marquette, NE, and Pilchuck Glass School, Seattle, WA. Works by Escudero have been discussed in Editorial Magazine, Aether Magazine, The Art Newspaper, Hyperallergic, and The American Reader. She is an editor and founder of Precog Magazine. Marcela Flórido was born in Rio de Janeiro, Brazil in 1988 and lives and works in Brooklyn, NY. She received an MFA from the Yale University School of Art in Painting in 2015 and a BFA from The Slade School of Fine Art, UCL, London, UK in 2013. 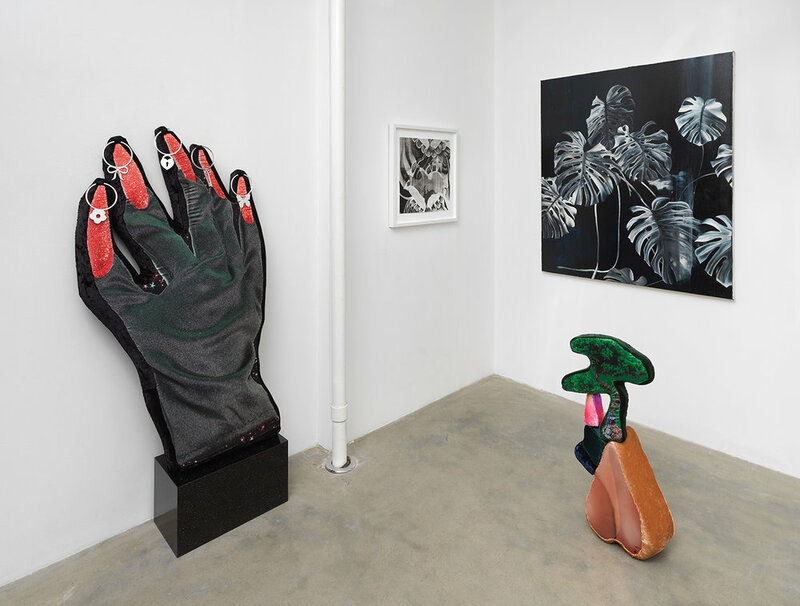 Recent exhibitions include "Laços," Anita Schwartz Galeria de Arte, Rio de Janeiro, Brazil, 2018 (solo), "Snow Days," Thierry Goldberg Gallery, New York, NY, 2018 (group), and "SLIP: Sara Faux, Marcela Flórido, Tschabalala Self," Stems Gallery, Brussels, Belgium (2017). She has completed residencies at Tilleard Projects, Lamu Island, Kenya, Mass MoCA, North Adams, MA, and The Vermont Studio Center, Johnson, VT. She is the recipient of a 2015 Viridian Artists' Prize, selected by Lauren Hinkson.